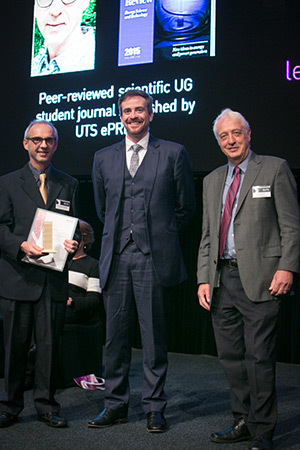 Five staff members from UTS Science have been recognised at the Vice-Chancellor’s Learning and Teaching Showcase held on 4 April 2016. The Faculty of Science scooped up two 2015 Learning and Teaching Awards, two commendations and one 2015 Learning and Teaching Citation. 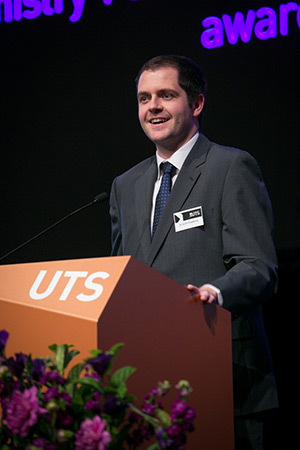 Dr Stephen Woodcock received one of five Learning and Teaching Citations for “development of enquiry-oriented learning practices in the mathematical sciences.” Dr Woodcock is a keen teacher who has coordinated and taught first year undergraduate subjects, through to supervising students at Honours and PhD levels. 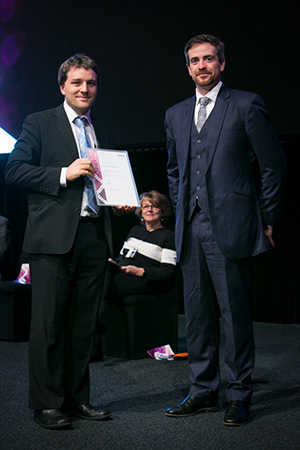 “It is a real honour to receive this award and be recognised outside of the Faculty,” Dr Chadwick said. Dr Chadwick took on over 900 Chemistry 1 students in 2015 and saw the failure rate reduce by half. He believes this was achieved by introducing assessments that tested students’ professional, communication and interpersonal skills as well as their knowledge. In addition to Chemistry 1, Dr Chadwick will be coordinating another first year subject in 2016, Principles of Scientific Practice. 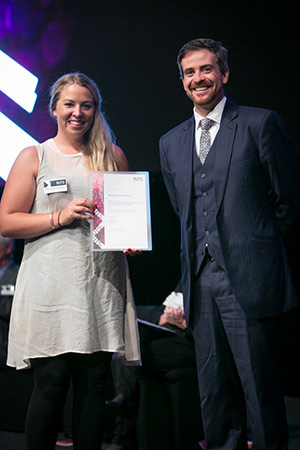 The learning.futures prize is awarded for teaching or curriculum design that embodies the ethos of the UTS learning.futures strategy, such as the application of collaborative and authentic learning. "[Under learning.futures], the students have an authentic learning experience that represents what they would do, or what they can expect to do, when they go off to their professions,” Dr Schulte said. He believes that since UTS introduced learning.futures in 2015, the learning experience has improved and engagement has increased. "I take a whole system approach to curriculum development which includes not just the syllabus itself or how the subject is being delivered, but tying together all ends of the teaching process,” he said. “That results in students being more engaged, and it is visible." Dr Schulte is currently working on a project called ‘Course Pathways: Making Informed Choices’ which has received a 2016 Vice-Chancellor’s Learning and Teaching Grant. The project aims to uncover statistically significant patterns in students’ course pathway choices with a view to provide support units, course and subject coordinators with indicators that may be used in student support actions. Mackenzie de la Hunty and Rebecca Haack and both received commendations for Teaching by a Casual or Sessional Staff Member. In 2015, Mackenzie aimed to create a “student-centred” learning environment that embraced flipped learning by uploading material online that students previously completed in class with pen and paper. “Instead of spending time trying to help students understand the theory during class, we were seeing them make their own connections between what they had learnt in lectures and the experiments they were undertaking,” she said. © Copyright UTS - CRICOS Provider No: 00099F - 24 July 2018 02:26 PM. The page is authorised by Deputy Vice-Chancellor and Vice-President (Corporate Services).